Getting Round The West Wight! FYTbus was founded to fill a gap in local transport left by the withdrawal of some Southern Vectis local services in the west of the Isle of Wight in 2008/9. 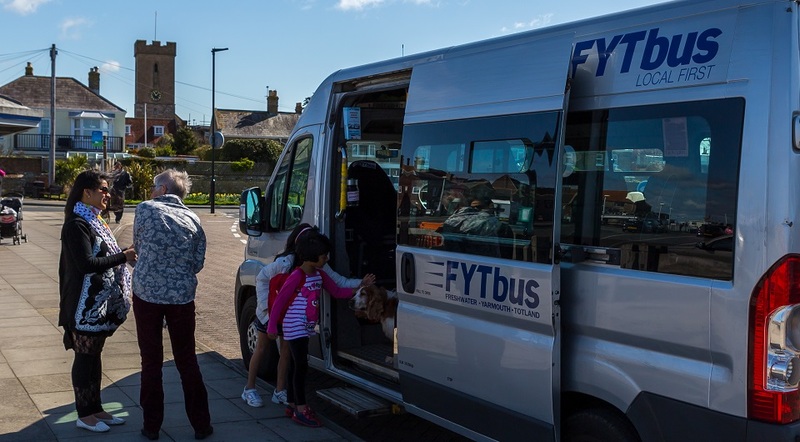 FYTbus is a registered charity (Registered Charity Number 1145931) and not-for-profit company. Our purpose is to improve access to local health, social, retail and leisure amenities for the residents of and visitors to West Wight. In so doing, we also support the businesses based here- shops, hotels, guest houses and our health and leisure centres. We are run by volunteers and all our drivers are trained to National MiDAS standards. On our scheduled routes and excursions we run with a passenger assistant who is there to help passengers if they need it. We are financially self-sufficient with no revenue support from local councils. We bid for capital funding to replace/renew our minibus fleet. Since our inception, we have steadily refined and increased our services in line with the needs of our residents and visitors. 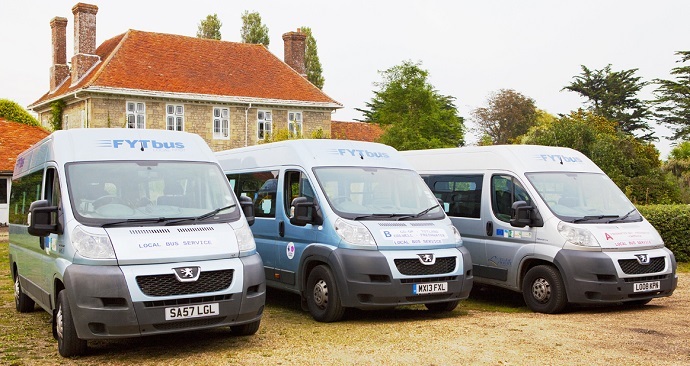 We have a fleet of five minibuses which are maintained to the same very high standards as all public service vehicles and we aim to keep the fleet as up-to-date as possible. We have strong support from our residents and businesses and a really solid foundation of willing volunteers. Together we will maintain the transport services on which many people now rely. The Broadway is Closed – no joke!